The giant squid is a deep-ocean dwelling squid in the family Architeuthidae. Giant squid can grow to a tremendous size due to deep-sea gigantism. Recent estimates put the maximum size at 43 ft for females and 33 ft for males from the posterior fins to the tip of the two long tentacles. The number of different giant squid species has been debated, but recent genetic research suggests that only one species exists. Like all squid, a giant squid has a mantle, eight arms and two longer tentacles. 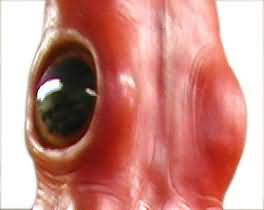 The giant squid has a sophisticated nervous system and complex brain and also has the largest eyes of any living creature except perhaps the colossal squid up to at least 27 cm in diameter with a 9 cm pupil. 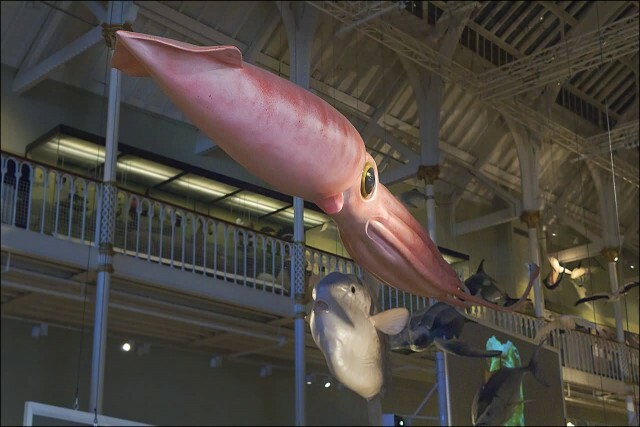 The giant squid is the second-largest mollusc and the one of the largest of all extant invertebrates. 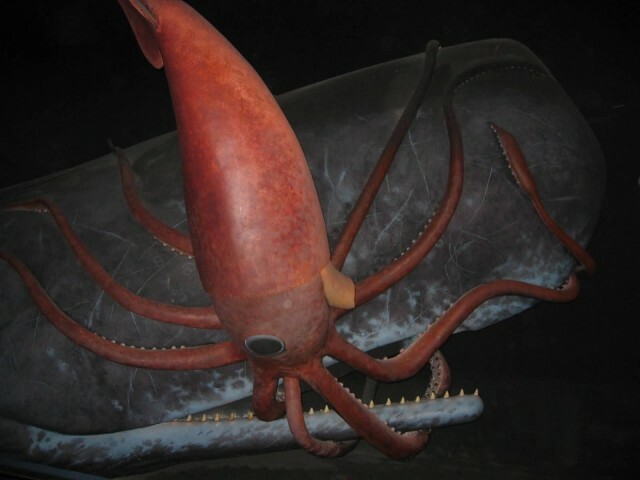 It is only exceeded by the colossal squid, which may have a mantle nearly twice as long. Recent studies have shown giant squid feed on deep-sea fish and other squid species. 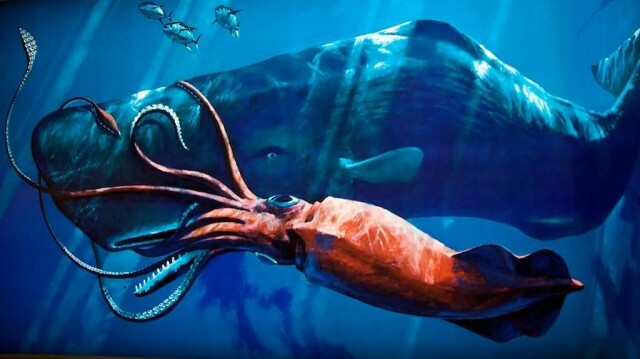 The only known predators of adult giant squid are sperm whales, but pilot whales may also feed on them. Giant squid are widespread, occurring in all of the world’s oceans.